If you have any questions, try looking at those we have been asked before. Hopefully the answers will be helpful, however please contact us if you need anything further. iCompute Teaching Ltd (“iCompute”), is a company registered in England and Wales with company no. 08509235. iCompute supports the primary education sector with Schemes of Work to improve teaching and learning in computing. Our background is in computer science and teaching. Our staff are qualified Computer Scientists - Bsc (Hons) - who have worked in industry as software engineers, as well as being experienced primary school teachers with Primary Computer Science Master Teacher status. We offer a unique blend of the practical application of computer science in the real world along with experience of teaching computing concepts and skills to young children. 2 Does iCompute fully match the Primary Computing Curriculum? iCompute fully matches the objectives for the 2014 Programme of Study for Computing at Key Stage 1 and Key Stage 2. It provides comprehensive planning and associated lesson materials, but offers the flexibility to be implemented in different ways. In using our schemes you can be confident of delivering full statutory coverage in innovative and engaging ways. iCompute teaches children how computers and computer systems work, offering broad and balanced coverage of these strands. It exposes children to a wide range and rich variety of digital technologies and tools. It teaches children how to use those tools and technologies (IT); how to communicate, collaborate, stay safe and express themselves (Digital Literacy) and, importantly, how to become digital creators themselves (Computer Science). 3 What are the differences between the products/packs? i) iCompute in the EYFS provides a minimum 28 weeks of computing specifically designed to introduce children in the Foundation Stage to technology and computing. Matched to the statutory framework for the early years foundation stage and matched to Early Learning Goals. This pack is bundled as standard with the whole-school pack but is also available to purchase separately. 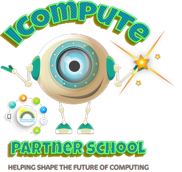 ii) iCompute - the Whole School Pack - offers full National Curriculum Coverage for Computing at Key Stage 1 and Key Stage 2 and none of the lessons within it require the use of mobile devices. iv) iCompute Across the Curriculum is designed to complement our whole-school scheme by providing opportunities to practise, consolidate and develop skills learnt in Computing throughout the primary curriculum. It sets computing in meaningful contexts and enhances and enriches other subjects. v) Learn Programming Codebooks 1-4 are printed workbooks are matched to our Key Stage 2 programming units and are designed for pupils to independently practice what they have learnt in their computing lessons. The four books in the series are loosely based on progression from Year 3 to Year 6. 4 Are there any further costs? iCompute has been specifically designed to use free software and tools in order to minimise costs to schools. Purchase of the schemes involves a one-off payment with no additional costs incurred. 5 Does it require training? We designed the scheme with non-computing specialist teachers in mind. We understand that computing can be daunting for some staff. iCompute teaches the teacher, as well as the pupils, and includes comprehensive - step-by-step - materials to support understanding. No training is necessary in order to confidently teach using our materials. Our author regularly runs CPD for teachers at our partner school in the Lake District. Any schools who feel they would benefit from training after purchase can attend these sessions. Our iCompute partner schools can talk to schools interested in iCompute about their experience and support schools new to teaching using iCompute. NB: They cannot offer training. 6 Is your ordering and payment gateway secure? 7 Can we pay by Purchase Order or Invoice? 8 Do you offer discounts? Discounts are available for group purchases of 5 packs or more. Many partnership groups and members of trusts/federations find it cost-effective to purchase in this way. We can also offer small school discounts for schools with less than 100 pupils on the roll. Please contact us for details if these are options you would like to explore. 9 Can I share with another school? The terms of purchase licence the product to the purchasing establishment only. You may not share iCompute outside of your school or establishment, nor may you email or copy to USB. Please see terms and conditions for full details. 10 Can I see the schemes before I buy? We have provided six free lessons from each of our packs for you to download and try within your school. 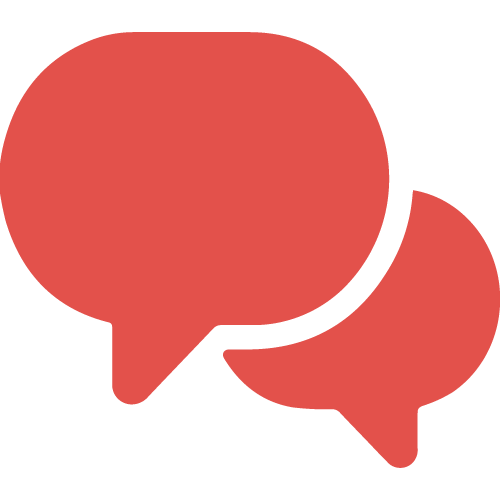 Naturally the sample lessons only offer a flavour of the comprehensive support and assessment guidance we provide; therefore we can provide limited evaluation access to iCompute online if you require. Please contact us if you would like to find out more or arrange this. 11 We operate a 2-year planning cycle in our school. Can we use iCompute? 12 Will we need to buy any new hardware? No. We specifically designed iCompute to minimise costs to schools. It does not require the purchase of any additional hardware. We may suggest the use of some hardware where appropriate (e.g. BeeBots), but we suggest other ways you can achieve the same outcomes if you have limited or no access to those resources. The free software and tools that we use have been carefully chosen to ensure they run on older as well as current computer systems. 13 We only have iPads. Can we use iCompute? Almost all of our core whole school pack can be taught using iPads only. Get our iPad compatibility guide for more details. 14 Our school uses LearnPads. Will the software iCompute uses be compatible? Our whole-school scheme uses free applications that have been developed for PCs and laptops, however most could be accessed using LearnPads. Some of the applications iCompute use need to be downloaded in order to use them and, as they are not built for Android operating systems, this would not be possible for a small number; Namely our Year 4 iProgram unit and our Year 5 iProgram (Unit 2). To compensate, we offer our Year 4 iPad unit (which is the same length) to LearnPad schools free of charge. Our Year 5 Unit 2 can be missed out as it is an additional, optional, unit we provide due to some schools not having having the graphics capability that Microsoft Kodu requires. 15 Our school uses Chromebooks. Will the software iCompute uses be compatible? Most of the software and applications we use work on Chromebooks. We have one Year 4 unit that uses software incompatible with Chromebooks but have equivalent software and a number of options for teaching this unit - contact us for further details. We also have an optional, second, programming unit in Year 5 using Microsoft Kodu which is only available for Windows but, as this is optional, it can easily be missed without affecting coverage. 16 Our school uses Apple Macs. Will the software iCompute uses be compatible? Yes. iCompute was developed using Macs. Macs use the OSX operating system, therefore when downloading any of the software we use in our schemes Mac users should choose OSX as the operating system. Most of the software and applications we use have a Mac version. We have an optional, second, programming unit in Year 5 using Microsoft Kodu which is only available for Windows but, as this is optional, it can easily be missed without affecting coverage. 17 Do you offer support for pupils with SEN/D? Yes. Read our guidance on inclusion. 18 I'm having a problem using iCompute, what should I do? Check our Troubleshooting section but if you find your problem is not addressed there, please contact us. 19 I've found a broken link, what should I do? We moved iCompute online in 2016 so that we can better manage our links to third-party resources and update/add new units to our schemes of work more easily. If you find a broken link, you should access the latest version of your plan from our website using your login details. Schools that purchased iCompute during or after 2016, and those that opted to pay for updates, will already have a login for iCompute. If do not have a login, this is likely to be because your school purchased iCompute before 2016 and did not opt to pay for updates. Contact us if you are interested in upgrading to receive over double the primary computing lesson plans and resources you currently have. 14 Our school uses LearnPads. Will the software iCompute uses be compatible? 12 Will we need to buy any new hardware? 15 Our school uses Chromebooks. Will the software iCompute uses be compatible?12 Will we need to buy any new hardware? 18 I'm having problems, what do I do? One off payment with lifetime licence.